Schiedam, The Netherlands, January 15th 2019: Vryhof, a trusted partner to many of the offshore industry’s leading companies and its three businesses - Deep Sea Mooring, Vryhof Anchors and Moorlink - today announced up to US$75 million in new contracts, starting 2019 on a high. The contracts include landmark deals for Vryhof Anchors for the WindFloat Atlantic wind farm, offshore Portugal, the world’s first commercial floating wind farm, and the Havfarm 1 offshore fish farm project in Norway, one of the world’s largest floating structures. In addition, Deep Sea Mooring (DSM) has secured contracts with Saipem Indonesia, Odfjell Drilling and Noble Drilling for the supply of mooring related services during 2019 in offshore Indonesia, the North Sea, and Myanmar respectively, as well as a large-scale contract offshore Australia. 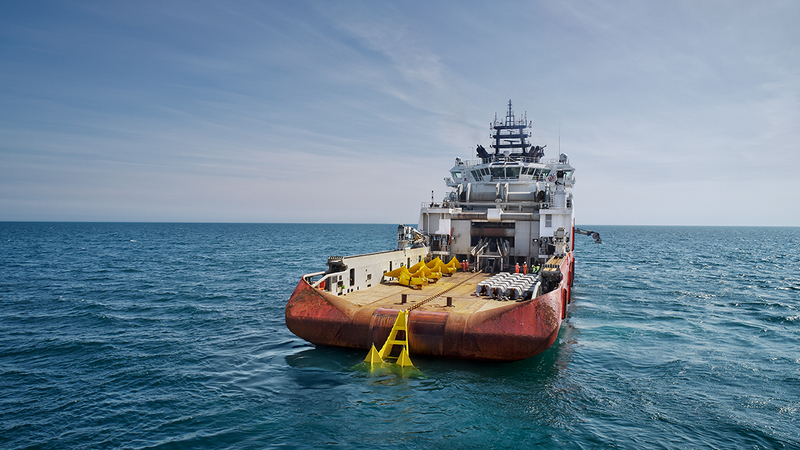 Vryhof Anchors has been awarded an oil & gas contract in Malaysia with SOFEC and connector specialists Moorlink has won several niche contracts in the renewables and oil & gas drilling sectors. - The supply of pre-lay and rig move equipment and services to Saipem Indonesia to support Italian operator Eni’s development of the Merakes and Jankrik fields offshore Indonesia. A minimum of six wells have been planned, with the potential for further add-ons. - A frame agreement with Odfjell Drilling where DSM will support Odfjell’s drilling operations offshore Norway and the UK. DSM currently supplies pre-lay and rig move equipment and services to the Deepsea Atlantic and Deepsea Bergen semi-submersibles, with the potential for more rigs coming under DSM’s umbrella. - Noble Drilling where DSM has been contracted to supply engineering and rig moving services offshore Myanmar, where the semi Noble Clyde Boudraux rig has commenced a contract with Indonesian operator, PTTEP. - And a drilling campaign offshore Australia, where DSM has been awarded a contract for the supply of two pre-lay spreads including the supply of all mooring line inserts, engineering and rig move services. The project is expected to last for a minimum of two years. - An agreement to supply project management services and full scope mooring systems for three floating wind turbines to the WindFloat Atlantic wind farm, offshore Portugal, the world’s first commercial floating wind farm. This project is running in close partnership with Bourbon Subsea Services. - The provision of foundations for the turret mooring system of the Nordlaks Havfarm 1 offshore fish farm project in Norway with Scana Offshore. This will become one of the world’s largest floating structures. - The supply of geotechnical expertise and drag embedment anchors to mooring specialists SOFEC for use in an oil & gas project, offshore Malaysia. Finally, another Vryhof company, Moorlink, a leading provider of connectors and mobile and permanent mooring solutions, has secured a renewables contract in Hawaii, where its high quality swivels are capable of outstanding performance in extreme conditions. 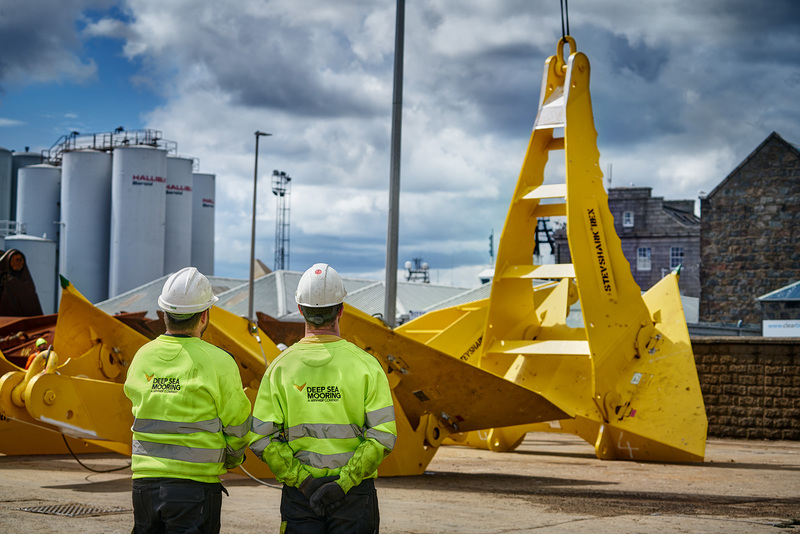 The new deal highlights Moorlink’s commitment to the emerging renewables marine energy market and its ability to customize innovative and cost efficient solutions for pressurised budgets made possible through more than 20 years expertise. In addition, Moorlink has also secured contracts in the drilling sector.